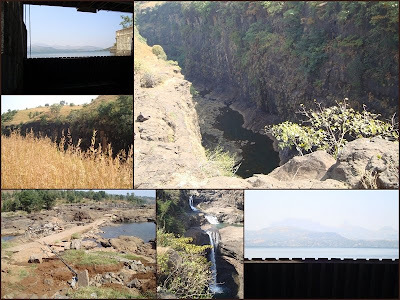 Ratangad | Exploring Mystic India! This was one special trip for me because it was a birthday gift presented to me by my hubby. I honestly didn’t know such a place existed, but it has been one of the best hill stations I have set foot on. Now, like most November-borns, I love water and I love the winters. At Bandardara, we sampled both: pristine blue waters and chilling winter cold. Let me give you a quick background of the hill station. 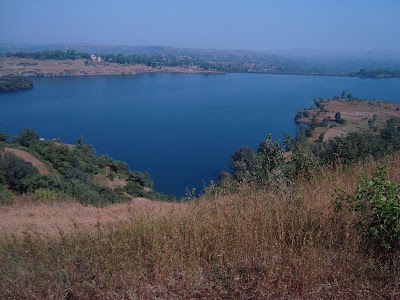 Located in the Ahmednagar district of Maharashtra, the hill station is around 180kms from Mumbai. Engulfed in the Sahadri Mountain ranges, Bandardara lies on the banks of the Pravara Lake at an altitude of around 750 meters. The apt time to visit the place is the monsoons, or the winters, in that order strictly. The best stay option is the MTDC resort facing the lake giving you cost effective service and a view you can cherish for a lifetime. 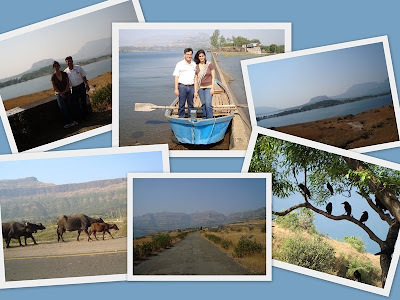 The most popular tourist spots include the Wilson dam, the Arthur Lake, Mount Kalsubai, Amruteshwar temple, Agasti Rishi Ashram, Ratangad Fort, Randha falls and the Umbrella waterfalls. The Wilson Dam has been constructed on the Pravara River in the year 1910 by a British architect after whom it is named. It is perhaps the oldest earthen dams in Asia and the largest in India at a staggering length of 150 meters. The dam was constructed with stones and was pieced together with earthen adhesives which include molten glass. 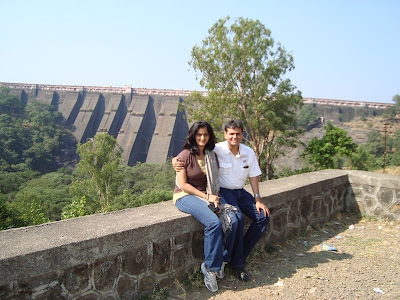 A unique ode to the engineering and architectural techniques of the olden day, the base of the dam is a brilliant picnic spot with lush greenery. During the monsoons when the dam water overflows, you can enjoy the beautiful Umbrella waterfalls (the rock formation to the left of the dam gives the shape and the name to the waterfall). Since we went in the winters, we could view only the rocks not the waterfall. 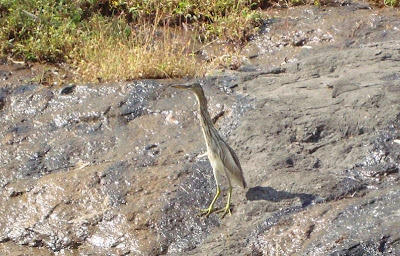 While the place is quite well known as a fishing destination, we found a winged-friend who is quite good at the sport! As you pass by the flood gate of the Wilson dam where you can see the water looming at eye level from the river, you can see the first glimpse of the Randha waterfalls. Having a 45 meter fall and used as an important source of hydro-power, this waterfall is a beautiful sight to see. 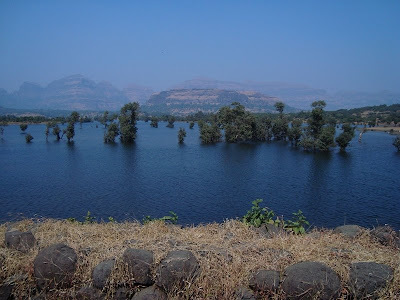 The mass destruction during the 2005 Nasik floods however is hard to miss. On the other side of the waterfall is a deep valley. The local tribal people climb down the mountain using rope ladders to collect honey and wax from the huge honey combs that hang over the valley. It’s both awesome and scary. The location also has a large number of dried ferns, which is used for decorating artificial flower bouquets. It is also an area where you can savor tea brewed with a seasoning of fresh lemon grass. After the Wilson Dam was erected over the Pravara Lake, water used to overflow from the river quite constantly. As a result of water harvesting and percolation techniques, the water was redirected and the Arthur Lake was so formed. The water levels continue to be maintained by the river water and rainfall. 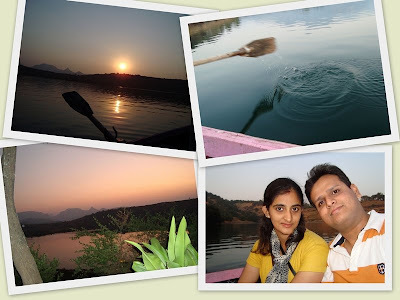 You can take a boat ride across the lake to reach Amruteshwar temple or you can ride on the road around it. We chose the latter. On the way you can see some amazing mangroves. If you stand atop the mountain on the other side of the MTDC resort, you will realize that the lake is shaped like the Map of India as in its present state! Our next stop was the Amruteshwar temple. The temple is quite well known among trekkers, since it serves as a base camp at Ratanwadi to trek to one of Shivaji’s favorite forts: Ratangad. The place also has rustic Indian gooseberries. The temple was built in 1100 AD and has the distinct Hemadpanthi flavor to it. The folklore about the temple however goes something like this. At the time of sagar manthan, according to the Hindu mythology, the seas threw out an enormous amount of poison. Lord Shiva held the poison in his throat and asked the Gods in Heaven as where to dispose it off. He argues that he can’t spit it out anywhere as the poison had the capacity to destroy the entire world. He was convinced to spit it at Ratanwadi, and the poison turned to elixir (amrut). Hence the temple came to be known as Amruteshwar. 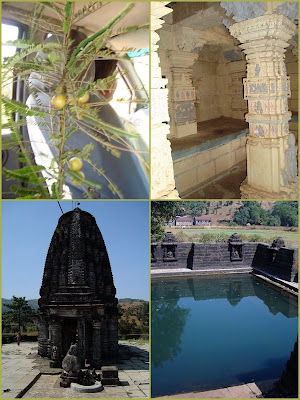 The pond behind the temple is also known as the “Amrut Kund’. A trekker’s paradise, the Kalsubai peak is the highest mountain peak in Maharashtra at 1,646 meters. 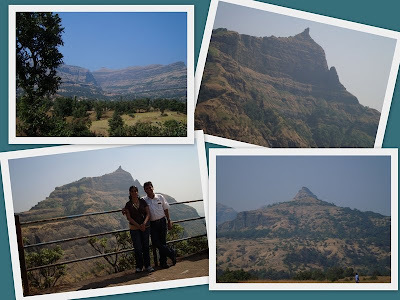 The peak was also extensively used by the Maratha warriors as an observation post. The peak is name Kalsubai after the folktale associated with it. According to the locals, centuries ago, one little girl came to live with a farmer, who had no family to call his own. She gave him a lot of affection, and in return asked him to never talk about her marriage. When she came of age, her father, forgetting of his promise, was eager to settle his beloved daughter into marital bliss. When he put forth his thoughts, the furious daughter left her dwelling and took Samadhi at the peak. The peak is home to a small Kalsubai temple and an old well in its backyard. Legend has it that the water in the well is so cold that a minute into it and your fingers will freeze also the water level of the well has never dropped below 3ft. Since we are not the trekking type, we were content with the base camp view of both the peak and the Kokankada (the Edge of Konkan region). The most amazing thing about Kokankada is a fork in one of the peaks, where you can see the sun rise perfectly between the crevice during equinox; i.e. when the days are equal to nights (20/21st March and 21/22nd September every year). This particular stretch of Bandardara also featured in he song “Nazrien Milana” from the movie “Jaane tu…ya jaane naa”, and many others. On our way back from the majestic peak, our well informed guide, led us to a tribal village. 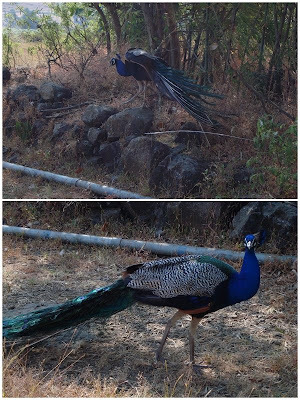 The villagers there have a frequent visitor, a proud peacock, who also gave us a royal appearence, that too up-close! Although we saw the place from a distance, our guide was more than happy to share the legend of Agasti Rishi. Apparently, it was through his blessing and his special arrow through Lord Ram he killed Ravana and rescued his wife Sita. The ashram serves as a major tourist attraction and is located on the bank of the Pravara River. As the day ended, we had the good fortune of enjoying a calm boat ride across the Arthur Lake and witness a beautiful sunset to mark the end of a perfect day! Since we try taking our trips during the off-season, ours was the only boat on the calm and serene lake. And about view that we witnessed…the picture speaks louder than my thoughts! 9th November – 10th November, 2008. Nainital: In the lap of divinity! All the content appearing in this blog, including text, photographs, and other details are copyrighted by the author. We have shared them here for your personal and non-commercial use, including any contests, submissions, and publications. Any other use requires written permission. Thank you.